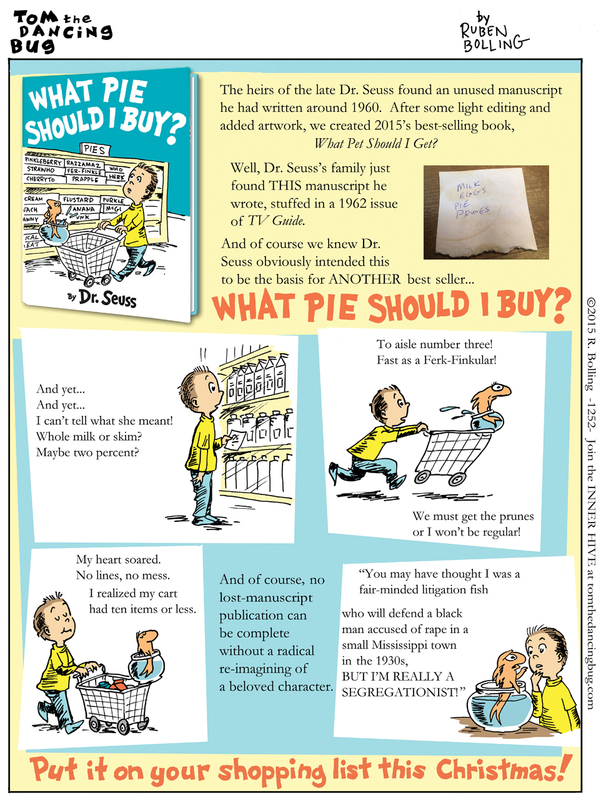 Tom the Dancing Bug, IN WHICH Dr. Seuss's new book, Which Pie Should I Buy, is based on a long-lost "manuscript"! And FURTHER, please join Tom the Dancing Bug's subscription club, the INNER HIVE for advance access to comics and more stuff. And PLEASE READ Ruben Bolling's new book, Alien Invasion in My Backyard: An EMU Club Adventure! You can also pre-order the second book in the series: Ghostly Thief of Time: An EMU Club Adventure!